Garba Shehu has lashed out against the media for what he called lack of respect and hate speech regarding the reporting of Benue killings. The Nigerian Presidency has strongly condemned what it calls an upsurge in the promotion of hate speech by the media especially as it relates to the farmers/herders crisis in Benue state. The condemnation was made Friday by the spokesperson of President MuhammaduBuhari, GarbaShehu, while briefing State House correspondents. Mr. Shehu said the “growing lack of respect for journalism ethics and press laws in the Nigerian media, especially regarding the clashes in Benue State is very unfortunate”. He said the frequent expressions of hate speech published by newspapers, in news stories and especially in columns have become a source of concern to all Nigerians. “We want to state emphatically that a segment of the Nigerian media is sinking deeper and deeper into the mesh of hate speech in spite of repeated appeals by recognised and reputable media bodies, the Government and concerned Nigerians,” he said. “Unfortunately, self-regulation which is the norm in civilised societies has taken flight from many of our newsrooms. “For instance, a recent column published in a national newspaper (The Sun newspaper), said ‘‘President MuhammaduBuhari was the first to endorse the Benue massacre’’ on New Year Day. The same columnist described the Minister of Defence, Mansur Muhammad Dan-Ali as ‘‘a dyed-in-the-wool Fulani irredentist who places trade over and above human life’’. “The diatribe went further to invite citizens of the country to arm themselves and fight each other. 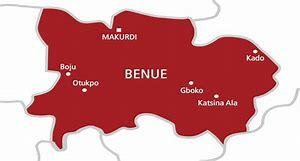 In addition, one of the newspaper’s Saturday headlines proclaimed: ‘Expect More Blood in Benue…’,” he said.